The most advanced non-invasive testing at cellular level! When our health is not in good condition, our body will automatically give out certain alarms. These include fatigue, body aches, headaches, insomnia, lack of appetite, depression, anxiety, stress, fear, bad temper, heart palpitation, dizziness and so on. People exhibiting these symptoms are determined to be in sub-health condition. According to the World Health Organization, estimates are that 50% of adults worldwide belong to this group. Now the real question is this, is sub-health detectable? The answer is yes! In the past one had to undergo ultrasonic, nuclear magnetic resonance or radiography in helping clients target their health conditions and fully determine what exactly was going on with them internally. Well, this is no longer the case as it can be done directly using the Quantum Resonance Magnetic Analyzer (QRMA) Technology! 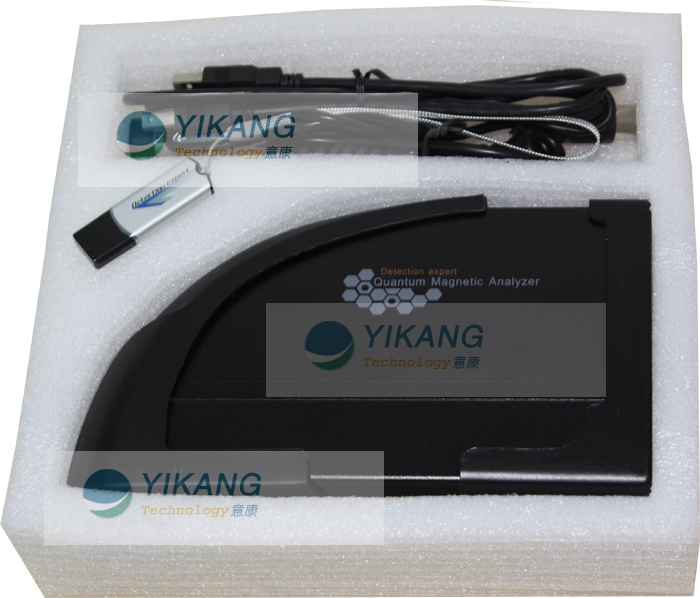 What is the Quantum Resonance Magnetic Analyzer? 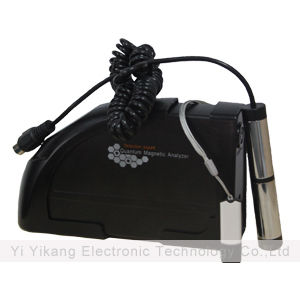 It is a special machine that scans and collects data generated from the weak magnetic field sensors of frequency and energy from the human body via the hand grip metallic sensor (electrode). 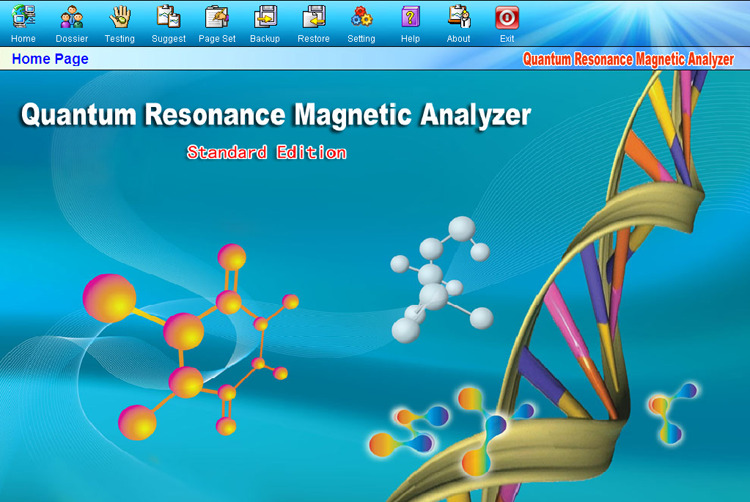 The QRMA magnifies the signals which is then processed using the software program that comes with the actual instrument, running a comparative analysis with the disease detection programming pre-installed within combined with the standard resonance spectrum as well as the Fourier Analysis Method whenever the sample wave pattern becomes chaotic. Once results are generated, the program will then give a comprehensive report of the scanned person's state of health and primary signs and symptoms, and at the same time give a recommended course of treatment both remedial and preventative. 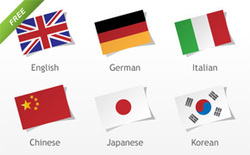 Yikang Technology have developed different language versions such as English, French, Portuguese, Spanish etc. 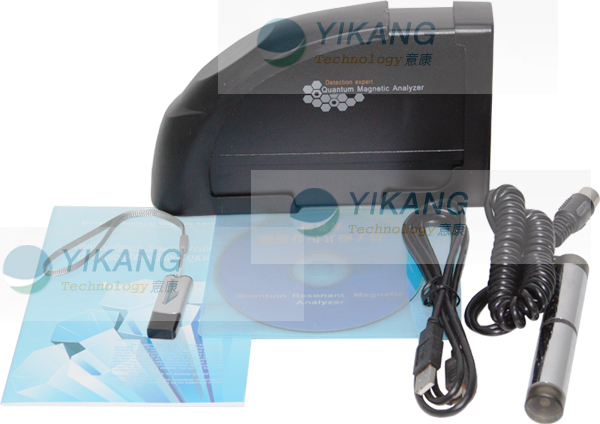 At present, they have developed the latest product which has more functions and the operating software comes with free online upgrades. 2). The panel uses a Dual Core Processor giving faster speeds and more accurate data. 3). 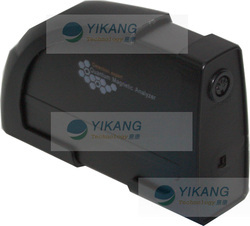 Updated software interface, richer sense of science and technology, easier to operate. 5). The new test interface instructions are clearer, scientific and precise. 6). The number of reported body functions have increased to 30, (male,female each for 28 items).The testing items are more detailed. They have added the inspection reports for Coenzyme, Allergy, Heavy metal, Vitamin and Bone growth index. 7). The accuracy of that report increased by more than 10% placing accuracy metrics at over 75%. 9). You can control the parameters and reference standards in the report for more convenient and personalized settings. 10). Save all reports (standard and compositive) in easy format (zipped for emailing) and can be opened and read in all standard browsers. 11). Enjoy our software upgrade services for free forever. The QRMA will your help clients take control of their own health by producing 30, easy-to understand, reports reflecting various conditions of their body's health systems. Ordinarily, reports of this nature using conventional testing methods for blood analysis or radiography, may take one, two, or even three weeks to get results. This can create depression and additional anxiety in waiting for the report. 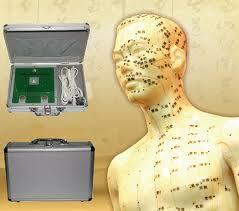 The quantum resonance magnetic analyzer scans the body and will produce health reports in just 2 minutes. This instrument is an ideal promotion tool for beauty salons, SPA clubs, clinics, health examination centers, health food/nutrition supplement/health care products shops, direct selling, massage centers, etc. The operator can write out a recommended course of treatment/prescription based on testing reports. It's also suitable for family use. Below is the picture of the home page. It is here where you first click on the tab marked "dosier" to enter the client's vital statistics of which the most important are their name, age and weight. They are in SI units. After the above settings, you click on "settings" and then have the client hold the electrode. The machine will then prompt you to commence. Ensure the patient is not wearing any metallic objects (rings, bracelets, watch etc) and also ensure that their pockets are empty of any objects like coins, cell phone etc. 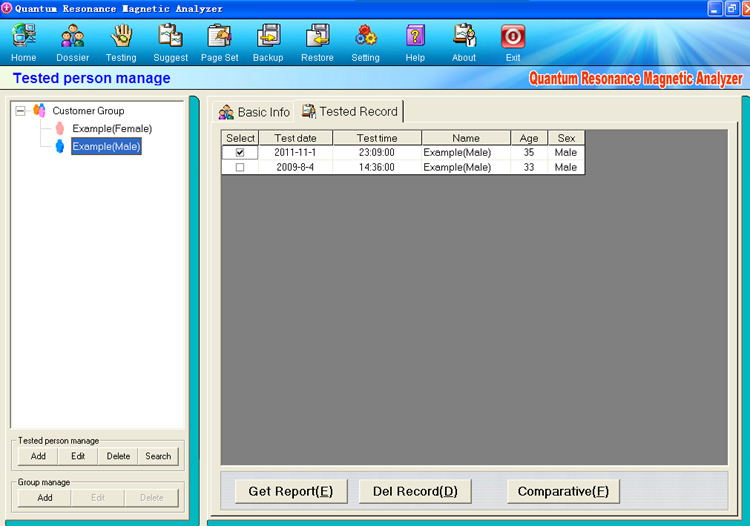 The machine will then run the scan for two minutes and then the report is stored ready on the "tested record" tab. The report can be viewed by clicking the "Get Report" button at the bottom of the window. Below is the actual sample of how the report looks like. 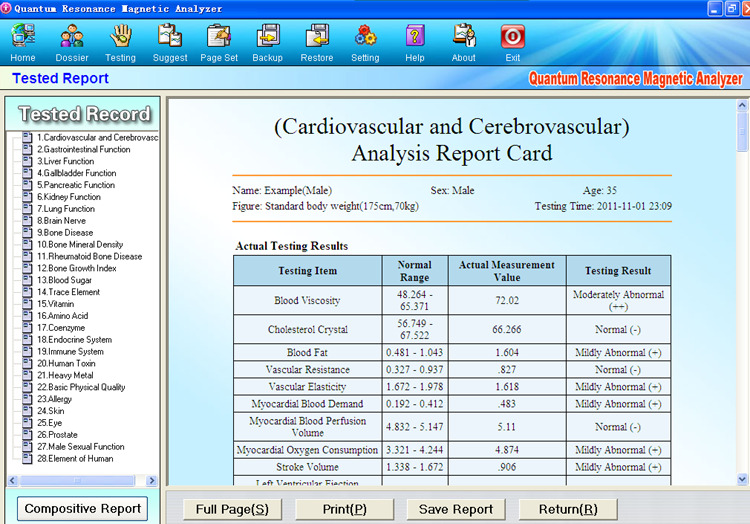 To the left is the different reports for different functions and the largest window is the main report for Cardiovascular and Cerebrovascular Analysis. As can be seen, it is a fairly comprehensive report with four different levels of alert namely "normal", "mildly abnormal", "moderately abnormal" and "severely abnormal". These give you the severity of a given parameter. The comprehensive report also gives you the recommended course of action. One major outstanding advantage is that the QRMA Scanner will also high light many subhealth factors within the 31 different reports generated.